and with Halloween two weeks away, I figured it would be great to share some costume inspiration. 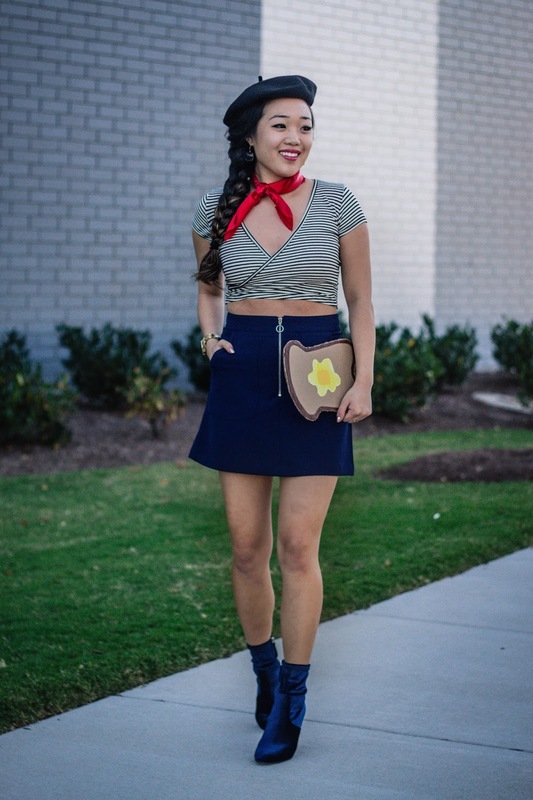 In this post, I'm rounding up my past Halloween costumes I wore in college. 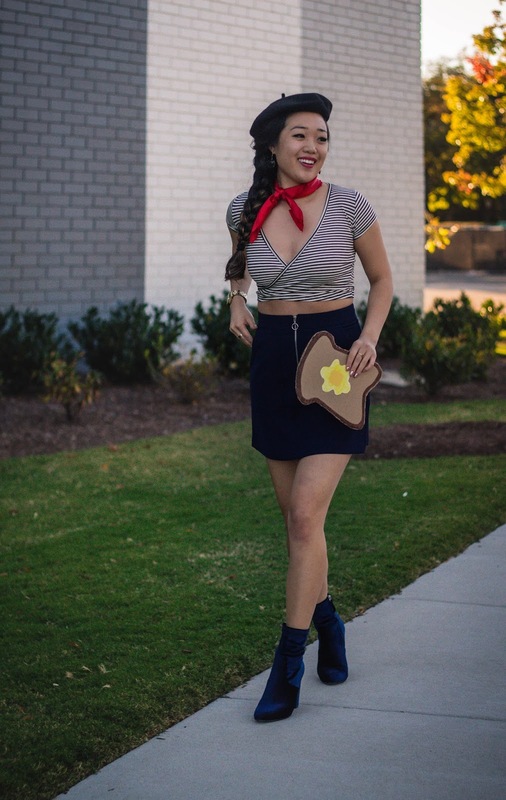 I'm a sucker for puns, so it goes without saying that the majority of my costumes were pretty punny. Besides the strawberry. That was just berry cute. Sorry, I couldn't help it. 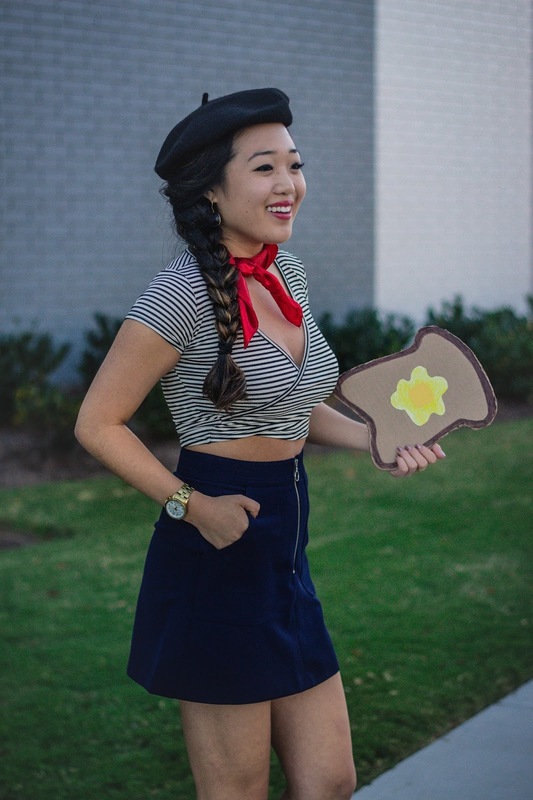 In college, I went all out for Halloween costumes. 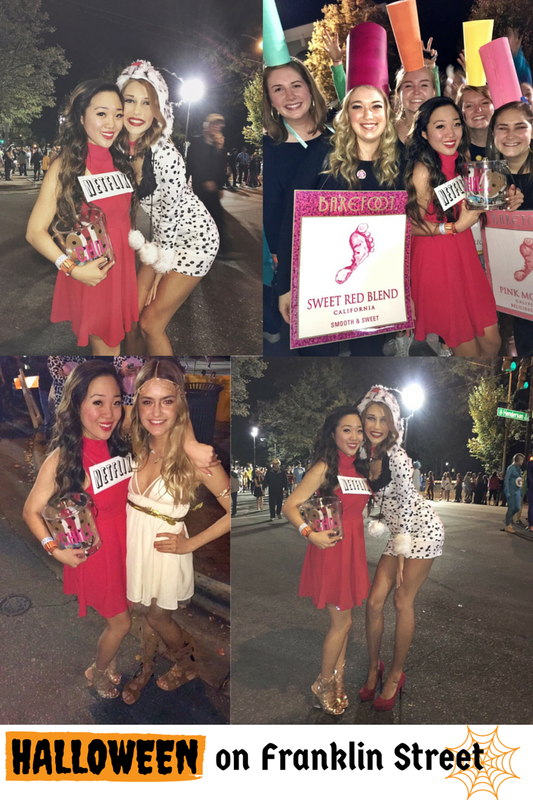 It was mainly fun with my group of gal pals, where we planned weeks and weeks in advance for Halloween on Franklin Street. For those of you who are new and don't know UNC-Chapel Hill's epic Halloweekend, read here. P.S. 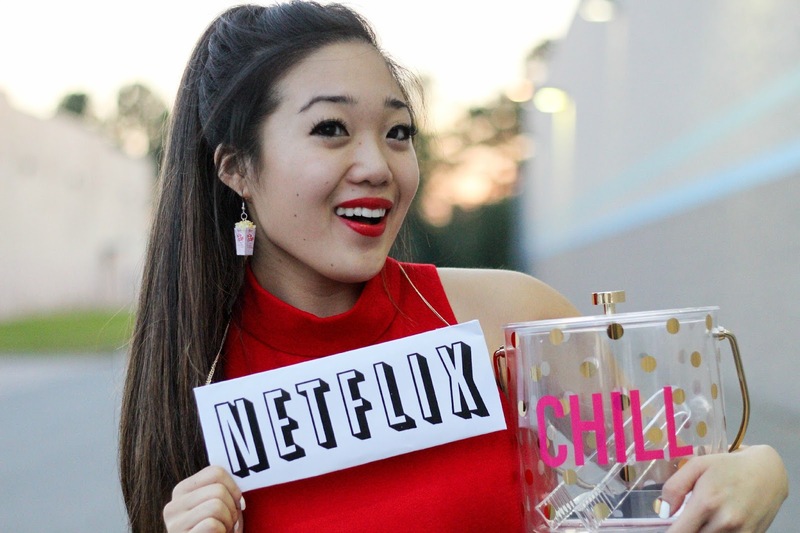 thank you to Business Insider for featuring my Netflix and Chill costume in their Halloween Costumes 2017 article! 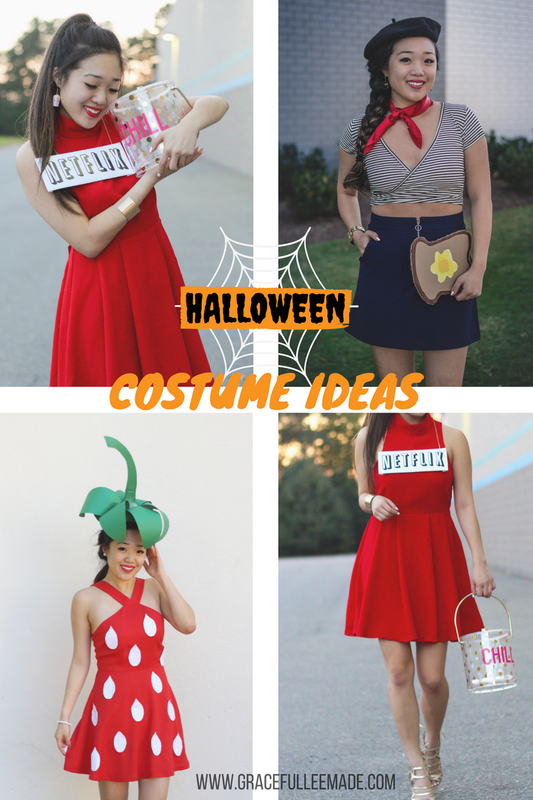 If you decide to be a strawberry this year, you have to use the caption: Trick or Sweet. ^ I used that line endlessly the year I wore this costume, haha. 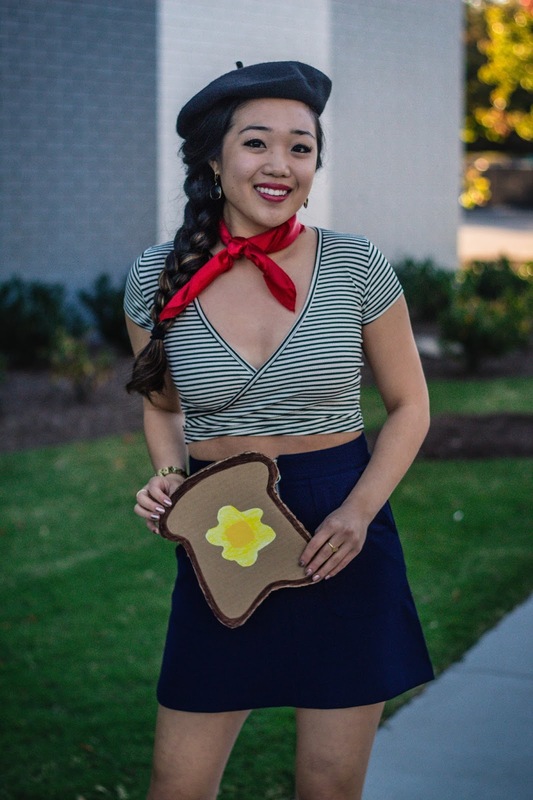 On the topic of sweet, before I decided to go with French Toast as my costume last year, I was actually planning to do this DIY costume at first. 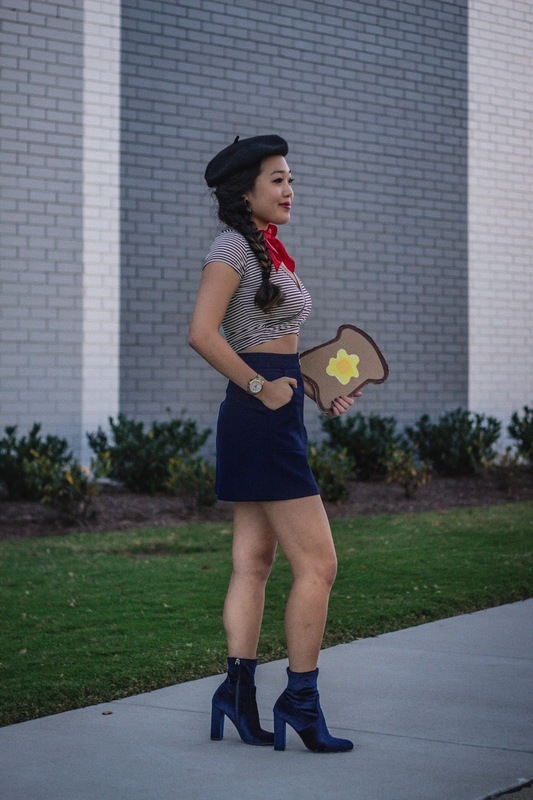 I think it'd be a really fun costume to do one year, so I definitely have that bookmarked! 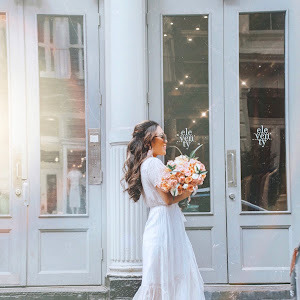 Here's also another one I'm loving (here).